For the last few months I have been so busy with work and I have been procrastinating for far too long to post regularly to my blog 😦 May and I have just returned from our Chinese New Year trip back to the mountains of Northern Shaanxi Province, I use the passport version for Shaanxi with two aa’s because there are two Shanxi provinces in China and unless you can read the Chinese characters you won’t be able to tell which province we were in. Our Shanxi is 陕西 and the other is 山西 they are next to each other when you look at a map of China, our Shanxi is the where Xian is the main city, the first capitol city of China and the home of the Terracotta Warriors. I will be posting many images over the next few weeks from our stay in the village, the people, a Chinese New Year wedding in the village, some family, some friends and some of the countryside, I do hope you like them. Something to look forward to! I wish HK were as quiet and pollution free. Its getting very grim here. Oh this sounds absolutely perfect! Love this – looks very ! cold. Reblogged this on Mark Kertesz Photography. 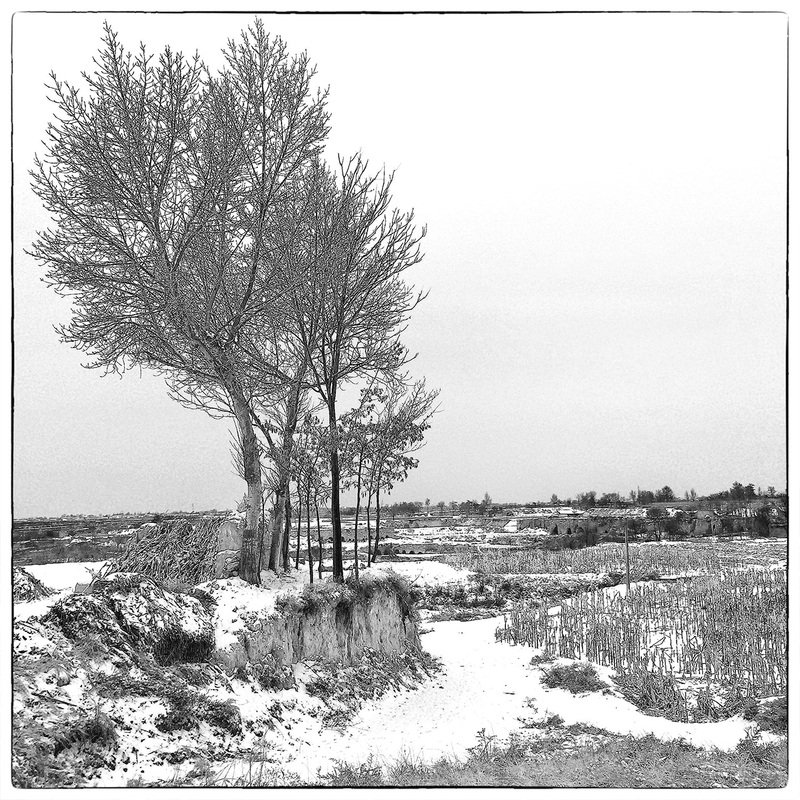 Lovely contrast, like an image copied onto lith film, that gives an appropriate graphic quality to the snow. Thanks John, I really loved taking this series of images.